Great deal on this Parade Home in sought after West Mobile's Wynnfield! 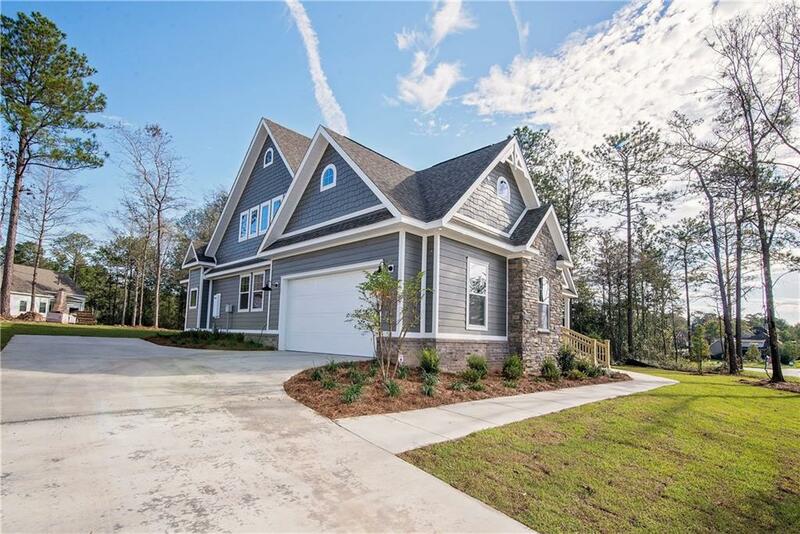 This Craftsman style *GOLD FORTIFIED* home greets you with a grand entrance & gorgeous custom features and an open floor plan. Having paid such extraordinary attention to detail including stunning views of the towering ceilings with a wall of windows allowing natural lighting in the living room giving stunning views of the open concept floor plan, leading you into the kitchen with beautifully designed French style custom cabinetry boasting in the kitchen with VIKING stainless-steel appliances, large oven, 6 top gas range oven, farm sink, quartz countertops, large walk-in pantry, a breakfast bar. This plan also has a formal dining room and a separate nook that has a white washed wood ceiling and a door that opens to the large back porch with a stacked stone wood burning fireplace overlooking the large beautiful backyard. Coming into the master bedroom on the main level, tray ceilings, a huge walk-in closet that leads to the laundry room. The custom designed laundry features encaustic tile flooring, built-in desk, folding table and open shelves. The dream luxury master bathroom has custom cabinets, shiplap walls, built-in vanity, Carrara quartz and a large custom tile shower. 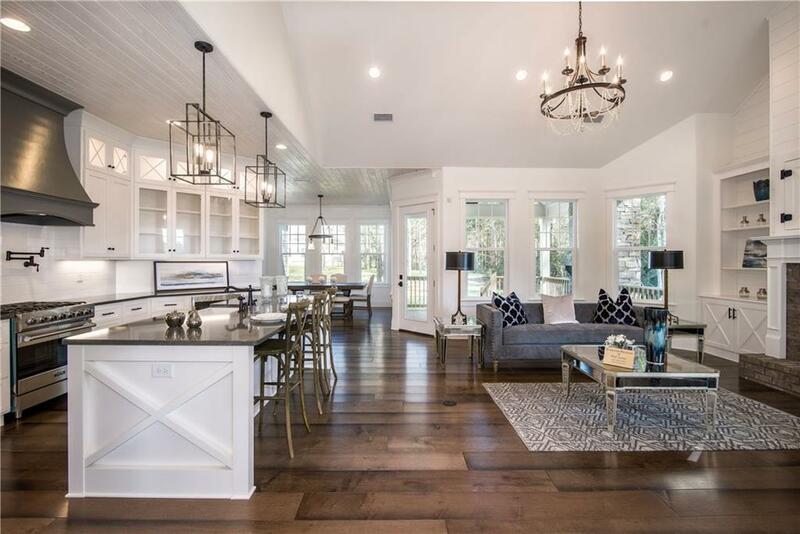 the main level also has a study with large wood barn doors, bedroom with a private bath, mudd room, powder room with shiplap walls, rustic reclaimed wood vanity and stairs that lead to the 2nd floor. Upstairs there is a bonus room with built in bookshelves and a separate bedroom with a full bath. 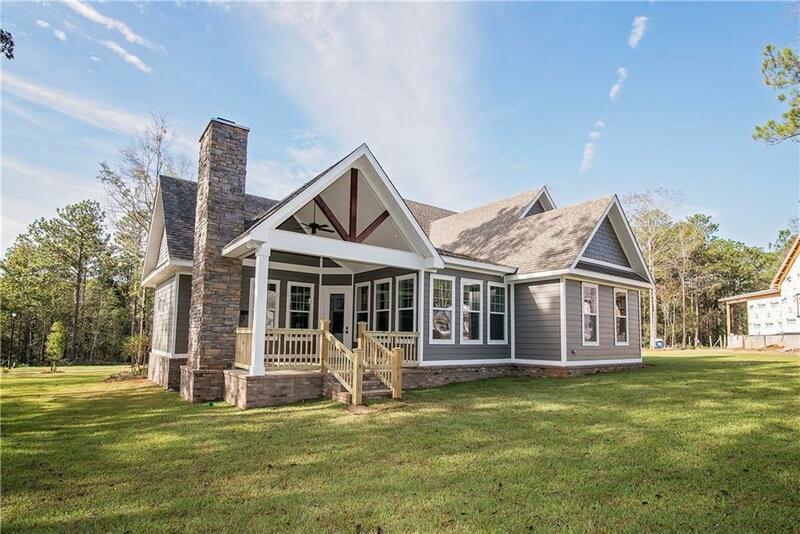 Don't miss the opportunity to view this gorgeous home located in West Mobile. Make an offer before its gone! 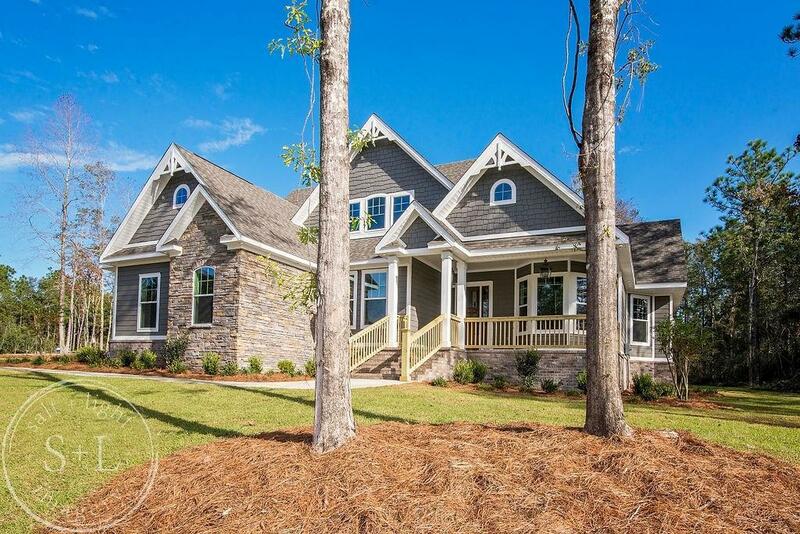 Listing courtesy of Chad Nassar of Re/Max Partners.